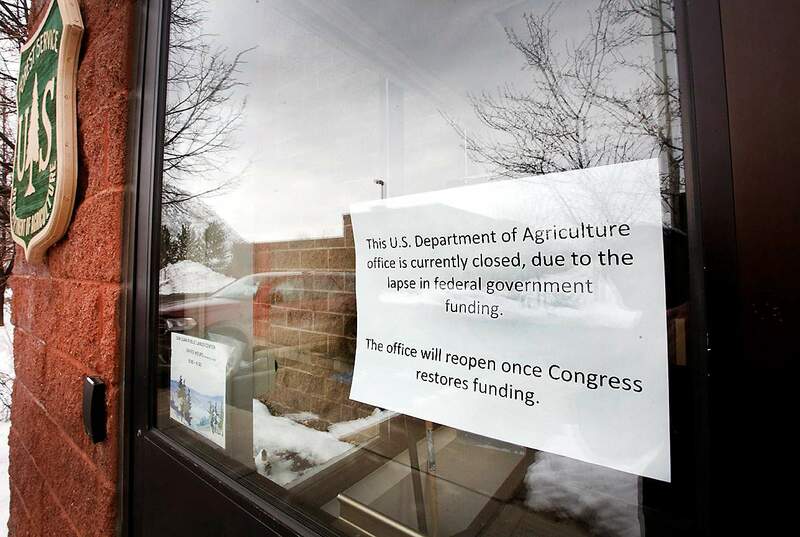 A sign on the front door of the San Juan Public Lands Center in Durango notifies visitors that the building is closed. WASHINGTON – Senate Majority Leader Mitch McConnell plans to bring President Donald Trump’s immigration proposal to a Senate vote on Thursday, as the partial government shutdown stretches past the one-month mark. President Trump on Saturday outlined an immigration proposal in an effort to end the shutdown and reopen the federal government. The president’s plan introduced three years of protection for current Deferred Action for Childhood Arrivals recipients in exchange for $5.7 billion to fund a southern border wall. “The government must be reopened. 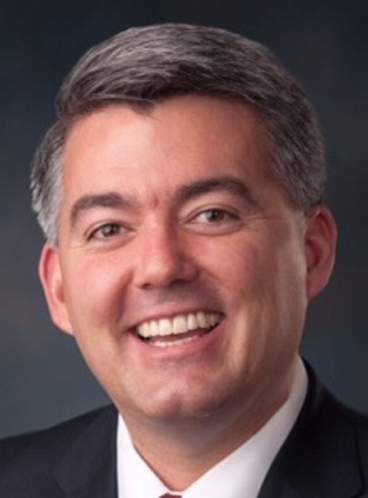 This proposal recognizes that need and is an offshoot of earlier efforts to tie border security funding to immigration reform, but on a smaller scale for both,” Sen. Cory Gardner, R-Colo., said in a statement. Despite calls for bipartisan cooperation, Congress remains stalled along party lines. Senate Minority Leader Chuck Schumer announced an expected Thursday vote on a plan to end the federal shutdown. The Democrat-backed proposal would reopen the federal government until Feb. 8, without funding for the wall. 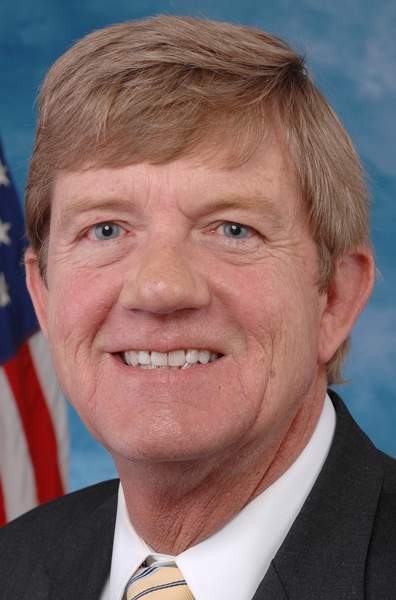 Scott Tipton, R-Colo., joined Gardner in signaling his support of the president’s immigration policy. “The proposal presented on Saturday by the President was a good starting point and I urge Speaker (Nancy) Pelosi to put politics aside and come to the table to reopen the government, pay federal workers and seriously address these critical immigration issues,” Tipton wrote in a statement to The Durango Herald. 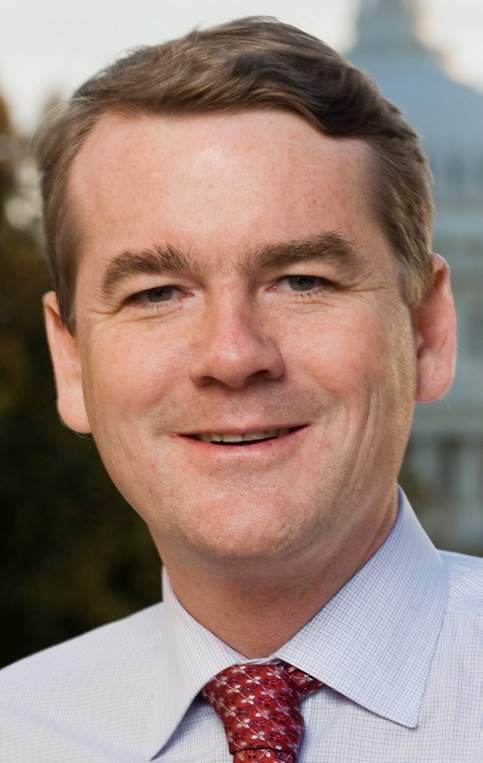 While Tipton and Gardner have both signaled their support for Trump’s immigration proposal, Sen. Michael Bennet, D-Colo., plans to vote against the proposal, according to his spokesperson. “If President Trump is serious about fixing our broken immigration system, he should reopen the government, and then engage in an open, bipartisan discussion about real immigration reform,” Bennet wrote in a statement. Following Trump’s Saturday address, Pelosi signaled the Democrats’ unhappiness with the proposed immigration policy. “Unfortunately, initial reports make clear that his proposal is a compilation of several previously rejected initiatives, each of which is unacceptable and in total, do not represent a good faith effort to restore certainty to people’s lives,” Pelosi’s statement read. On the state-level, Republicans say the president’s border security concerns are legitimate and remain a crucial part of national security, according to Jeff Hays, chairman of the Colorado Republican Party. Yet, Democrats argue Trump’s immigration plan is not as comprehensive as initially claimed. They cite the proposal’s lack of protection for new DACA recipients and increased funding for ICE agencies, according to Pilar Chapa, executive director of the Colorado Democratic Party. As negotiations have remained locked along party lines, it has led to frustrations and calls for bipartisan cooperation on both sides. “We need to think about what’s best for our country,” Hays said. An earlier statement by Gardner in the first few weeks of the shutdown gained media attention for supporting the end of the shutdown before funding the border wall. Recently, Gardner urged bipartisan support to reopen the federal government. “While some may be tempted to stay crouched in their partisan corners, I hope a majority in Congress realize that compromise is a keystone of government and accept this offer,” Gardner’s statement read. Bennet agreed on the necessity of bipartisan cooperation but pushed the importance of reopening the government before funding the wall. “He believes that our first priority should be to open the government, and only then can real, bipartisan discussions on border security and immigration reform take place,” a spokesperson for Bennet said Wednesday. Both proposals are expected to hit the Senate floor on Thursday. Yet, neither side has the 60-vote requirement to pass their bill. While the Republican senators hold a 53-47 majority, they would need Democrats support it to reach the 60-vote requirement for their bill to advance.